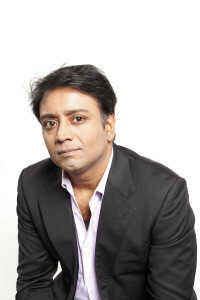 Zia Haider Rahman was born in rural Bangladesh, raised in London, and educated in England, Germany, and the United States. He is a Radcliffe Fellow at Harvard University; a Fellow at New America, Washington, D.C.; a Senior Fellow at the Kreisky Forum, Vienna; and has been appointed a 2018 Director’s Visitor at the Institute for Advanced Study, Princeton. He is a Visiting Professor in the low residency MFA program in Fiction and Non-Fiction at Southern New Hampshire University. His writing has appeared in The New York Times, The Guardian, and elsewhere, and he is a contributor to BBC Radio 4’s A Point of View. His first novel, In the Light of What We Know, was published by Farrar, Straus & Giroux in 2014 to international critical acclaim and won the James Tait Black Memorial Prize, Britain’s oldest literary award. In a review for The New Yorker, the critic James Wood wrote “Isn’t this kind of thinking—worldly and personal, abstract and concrete, essayistic and dramatic—exactly what the novel is for? How it justifies itself as a form?…In the Light of What We Know is what Salman Rushdie once called an ‘everything novel.’ It is wide-armed, hospitable, disputatious, worldly, cerebral. Ideas and provocations abound on every page … A dazzling debut.” Writing in The New York Review of Books, Joyce Carol Oates described it as “remarkable … a unique work of fiction bearing witness to much that is unspeakable.” The novel has been translated into many languages. Zia Haider Rahman is the author of the novel In the Light of What We Know, published in 2014 to international critical acclaim (Farrar, Straus & Giroux, US; Picador, UK). He won the prestigious James Tait Black Memorial Prize in 2015, Britain’s oldest literary award, previous winners of which include Evelyn Waugh, Cormac McCarthy, Nadine Gordimer, Graham Greene, EM Forster, Jonathan Franzen, JM Coetzee and Iris Murdoch. The novel won or was shortlisted or long-listed for many other prizes. It appeared in many end of 2014 lists of best books and has been translated into many languages. “[An] extraordinary meditation on the limits and uses of human knowledge, a heart-breaking love story and a gripping account of one man’s psychological disintegration … personal and political, epic and intensely moving” (The Observer/Guardian on Sunday); “unsettling and profound … utterly absorbing” (Guardian); “a strange and brilliant novel” (The New York Times); “an extraordinary achievement” (Sunday Times); “the finest book written by an Indian subcontinent-origin author” (Mint/Wall Street Journal); “among many other things, a beautiful, anguished tirade against narrowness and complacency” (Times Literary Supplement); “a semantic and linguistic Wonderland” (Dawn); “a standout debut … gorgeously written” (Vogue); and “My faith in fiction has been restored … Rahman writes brilliantly and hilariously about British class-consciousness” (Sydney Morning Herald); “Dans son magistral premier roman, Zia Haider Rahman fait la somme de ses mondes en crise…” (Libération); “Faire se toucher des mondes distincts, «bâtir des arches entre des piles», voilà qui semble être le dessein ultime de son grand et puissant roman…Une accumulation de micro-histoires et de récits enchevêtrés qui finissent par former une suite de gigantesques et brillantes variations inspirées du théorème de Gödel.” (Le Monde). Zia was born in rural Bangladesh. He moved to England with his family, living first in a squat before being housed in a council estate (social housing). Educated at Balliol College, Oxford, and at Cambridge, Munich and Yale universities, Zia has worked, briefly, as an investment banker, and, for longer, as a corporate lawyer, anti-corruption activist and international human rights lawyer. He is the Walter Jackson Bate Fellow at the Radcliffe Institute for Advanced Study, Harvard University; a Fellow at New America, Washington, D.C.; a Senior Fellow at the Kreisky Forum, Vienna; and has been appointed a 2018 Director’s Visitor at the Institute for Advanced Study, Princeton. He is a Visiting Professor in the low residency MFA program in Fiction and Non-Fiction at Southern New Hampshire University. 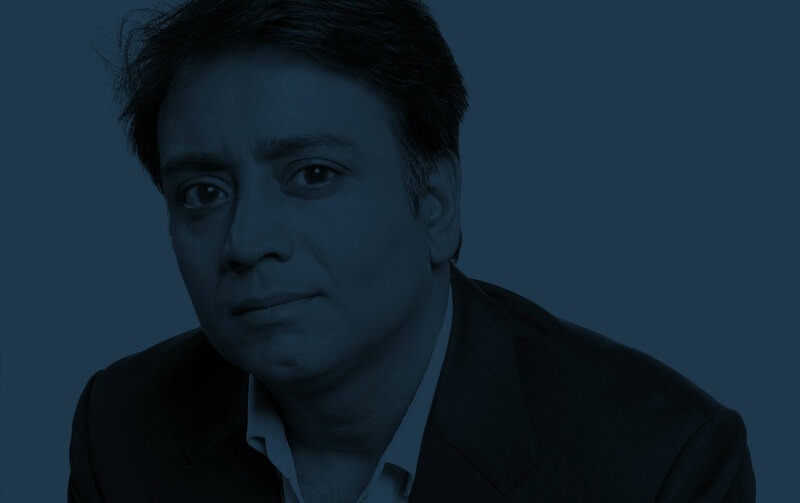 His writing has appeared in The New York Times, The Guardian, and elsewhere, and he is a contributor to BBC Radio 4’s A Point of View.